Up for auction this week is a PINK poodle! 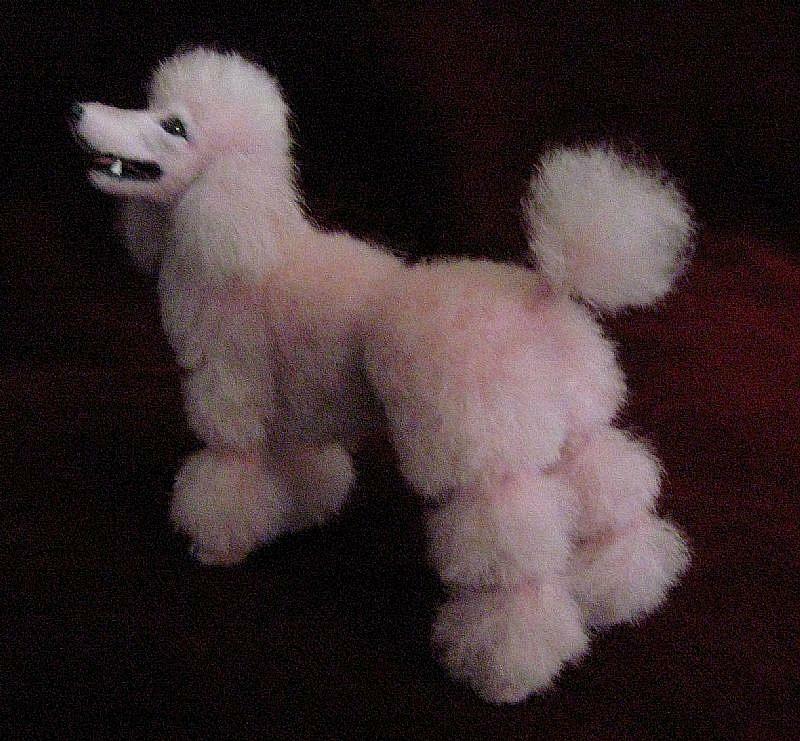 This little one represents the first in a series of poodles I'll be offering, for simplicity sake, I'll call it the "Rainbow Collection". 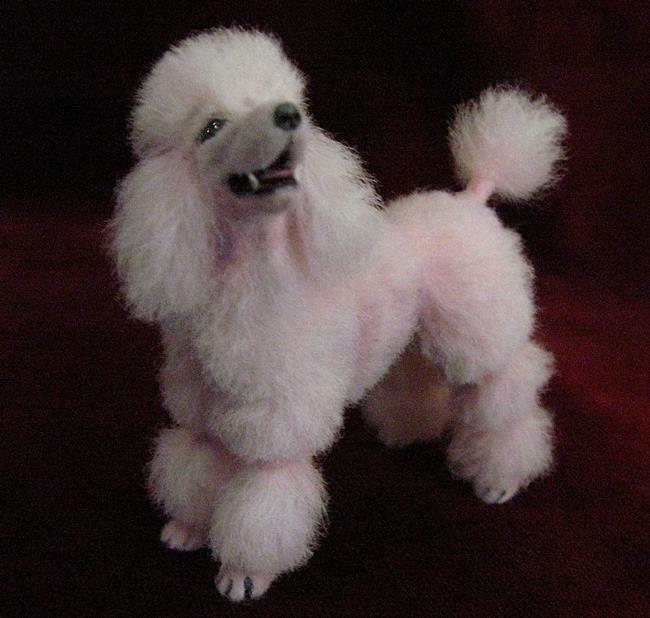 Over the course of time I'll be creating poodles in a variety of colors, but this first one is the most beautiful shades of cotton candy pink that I dyed at home, it looks good enough to eat! This was first carefully sculpted in high quality polymer clay, painted and glossed the tiny details then carefully applied the 100% baby alpaca fiber in thin layers. 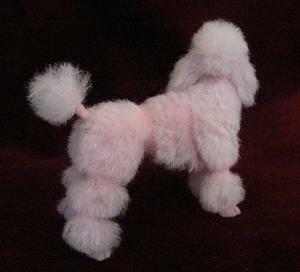 I meticulously trimmed and shaped the fiber into a nice foo-foo cut typical of a pampered poodle. I used a small amount of pastel to bring out the facial detail and also some in the recessed areas to give it depth. 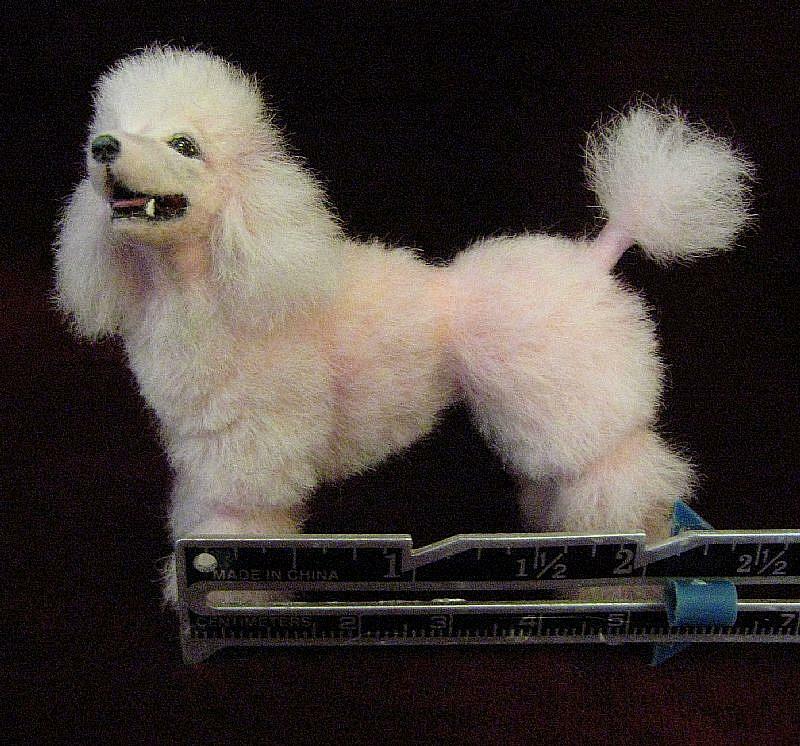 It's easy to forget that the poodle is a highly intelligent working dog with a lot of heart! This will arrive with a signed, dated and numbered certificate of authenticity that may be verified through the ebsq site. This would make a great addition to your original dollhouse or poodle collection!